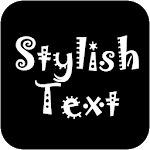 Stylish Text is a new text styling and decoration tool to restyle the normal text into Stylish Text. The text can be both stylize and decorated in order to look cool. 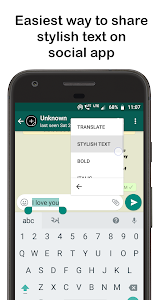 The App is compatible with almost all popular messenger apps. There are endless possibilities with this stylish text tool. The app is currently free. 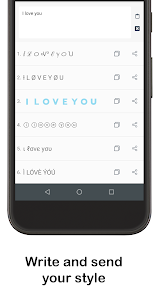 We give you a very simple and easy to use app that you will love to use in your everyday life.Its a must have for teenagers who love to chat all day long. 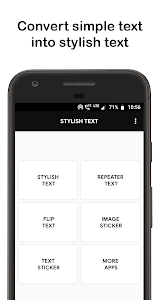 Stylish Text app is also help you create your own sticker packs and share it with your friends! best application to send personal stickers to your friends. Make Sticker packs for pet, your girlfriend, your family, your friends in 3 easy steps. 1. Pick a photo from your gallery. 2. 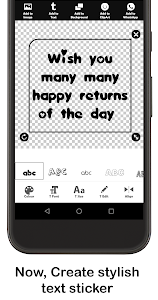 Design it, by adding emojis, background or a text. 3. Click on the Add button on the top of your screen. That's it! You will then be able to share your stickers with everyone! 1. 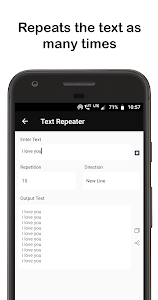 Single click on text to copy text. 2. 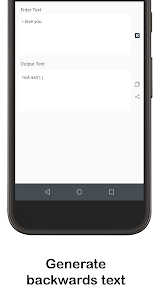 Just double tap or Hold the text you are writing and you'll see a named – STYLIST TEXT. Click on that and select your preferred style and See the MAGIC.